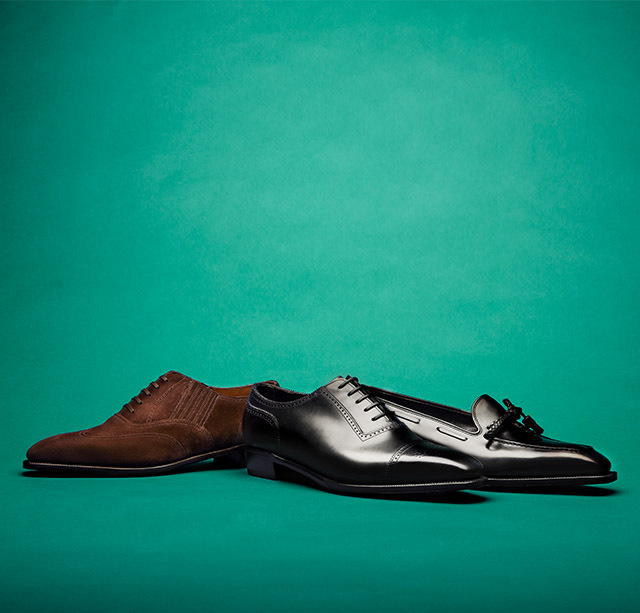 Anthony Cleverley was born as a nephew to George Cleverley who founded shoe maker 'George Cleverley', now renowned British shoe brand. Anthony mastered shoe-making under George but separated afterwards because of different opinion of shoe-making. Anthony pursued his unique way as a bispoke craftsman and produced shoes for many celebrities. George Cleverley passed away in 1993 and so did Anthony in 1994. A few years later, Mr.George Glasgow, current owner of George Cleverley brand, found list of clients, list of collection and shoe lasts in Anthony's inheritance held by his niece. Mr.Glasgow was so impressed by Anthony's extraordinary beautiful shoes that he reproduced the shoes and attracted many shoe enthusiasts' attention. Anthony Cleverley shoes have now revived in the contemporary world.